Healthy Inside ~ Fresh Outside..!! : Does Gingko Biloba Affect Memory? Does Gingko Biloba Affect Memory? 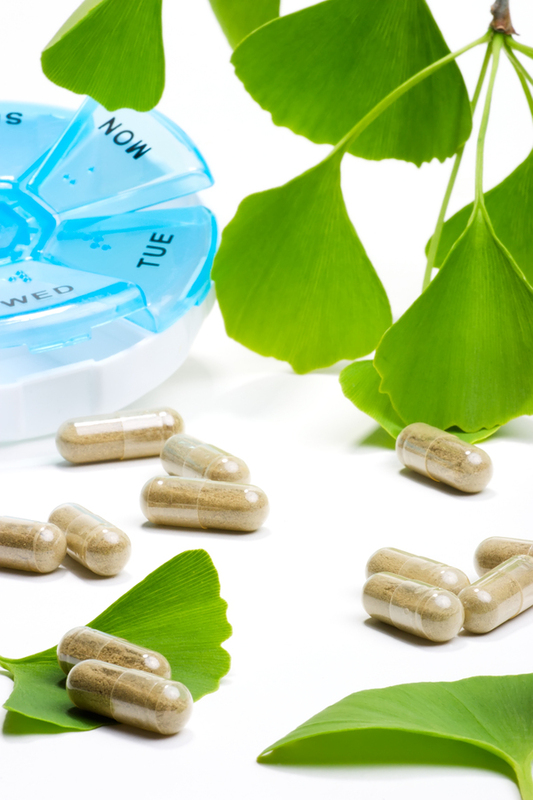 Taking the supplement ginkgo biloba had no clear-cut benefit on the risk of developing memory problems, according to a new study. The three-year study involved 118 people age 85 and older with no memory problems. Half of the participants took ginkgo biloba extract three times a day and half took a placebo. During the study, 21 people developed mild memory problems, or questionable dementia: 14 of those took the placebo and seven took the ginkgo extract. Although there was a trend favoring ginkgo, the difference between those who took gingko versus the placebo was not statistically significant. The researchers made an interesting observation when they examined the data at the end of the trial. Taking into account whether people followed directions in taking the study pills, they found that people who reliably took the supplement had a 68 percent lower risk of developing mild memory problems than those who took the placebo. Without further study, it is unclear if this difference is real or just a chance occurrence. On a cautionary note, the study also found that people taking ginkgo biloba were more likely to have a stroke or transient ischemic attack, or mini stroke. Seven people taking ginkgo had strokes, while none of those taking placebo did. "Ginkgo has been reported to cause bleeding-related complications, but the strokes in this case were due to blood clots, not excessive bleeding, and were generally not severe," said study author Hiroko Dodge, PhD, of the Department of Public Health and Center for Healthy Aging Research at Oregon State University in Corvallis. "These results need to be clarified with larger studies, but the findings are interesting because ginkgo biloba is already widely used, readily available, and relatively inexpensive," said Dodge. "One of the most pressing public health problems facing our society is the rapidly growing number of people who, due to their age alone, are at high risk of developing dementia. The potential to delay or prevent this is of great importance. Further studies are needed to determine whether gingko biloba has any benefits in preventing cognitive decline and whether it is safe." Dodge noted that this is the first randomized, controlled trial of prevention of dementia in people age 85 and older. This study was published in the February 27, 2008, online issue of Neurology®, the medical journal of the American Academy of Neurology. The research was conducted at Oregon Health & Science University's NIA-Layton Aging & Alzheimer's Disease Center and the Oregon Center for Complementary and Alternative Medicine in Neurological Disorders. The study was supported by grants from the National Institute on Aging and the National Center for Complementary and Alternative Medicine (NCCAM). The ginkgo biloba extract was provided by Thorne Research, Inc.